Almost every tour package includes at least one cave visit in the price of the tour. 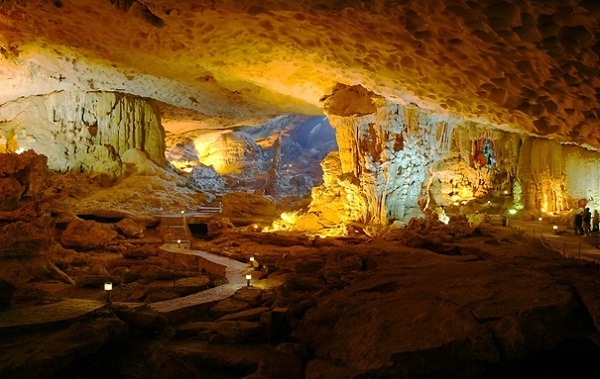 Some most popular caves in Halong Bay which often included in a Halong Bay tour package are the Dragon Cave, the Surprising Cave or also known as the Amazing Cave, Dau Go Cave, etc. 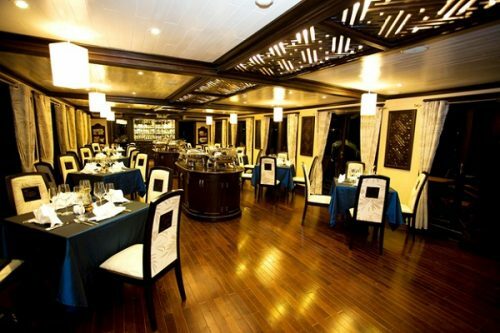 Depend on each boat’s itinerary where they will specifically state the name of the cave or grotto you are going to visit. 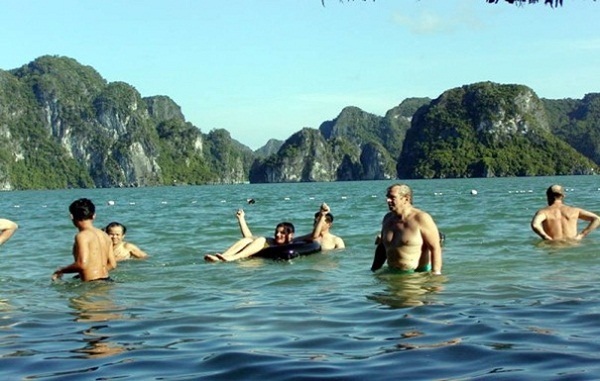 When you get on any Halong Bay tour package, you will surely have chances to swim, at least once a day. All package tours also include a stop at one of the Halong Bay’s popular beaches for swimming such as Ti Top Beach, Soi Sim Beach and Tuan Chau Beach. Sometimes these swims can even take place near local fishing villages, leading to jokes and apprehensions about the toilet situation on fishing villages. All the boats bring their own colorful kayaks and if the weather and tides permit, passengers will be able to paddle around. 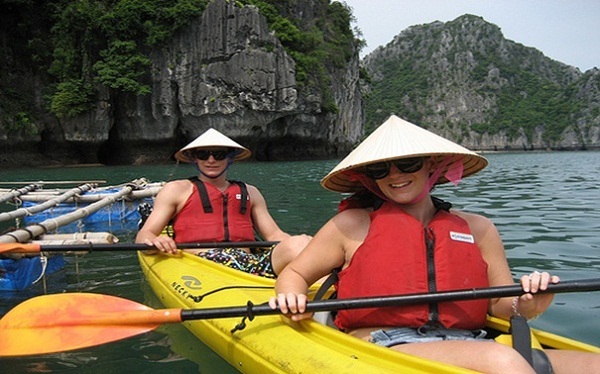 Kayaking is considered as the most fun part of a Halong Bay tour package as tourists will have opportunity to kayak through one of the tunnel cave systems of the bay. 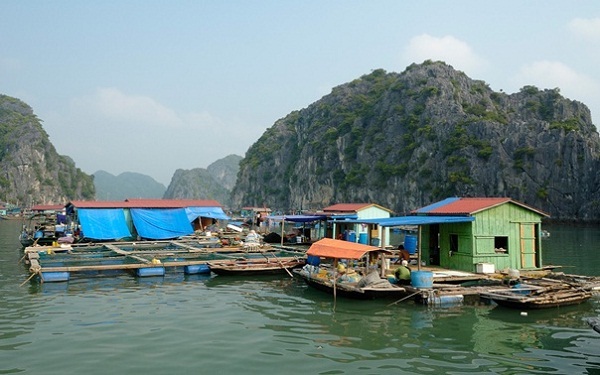 Actually, not all Halong Bay tours make a stop at a fishing village, some of them just cruise by. 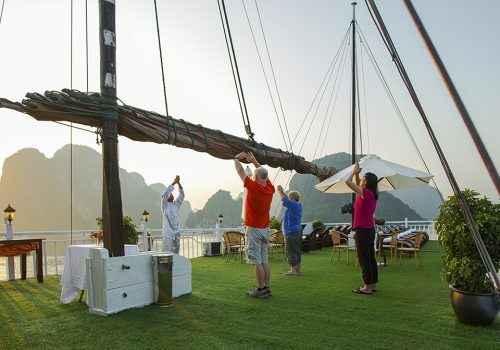 If you choose a Halong Bay tour package which includes this activity, you will be given a great chance to view the seafood being farmed, have the opportunity to buy some, and have it prepared for you free-of-charge on the boat. 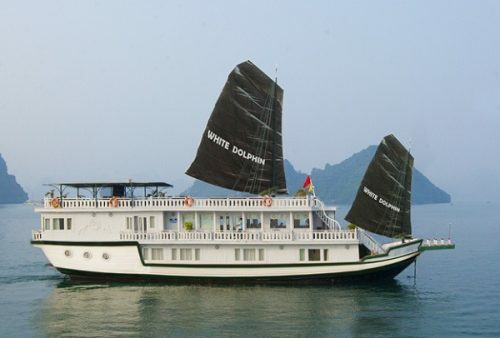 A two or three-day Halong Bay tours package always offers a night in a cabin. 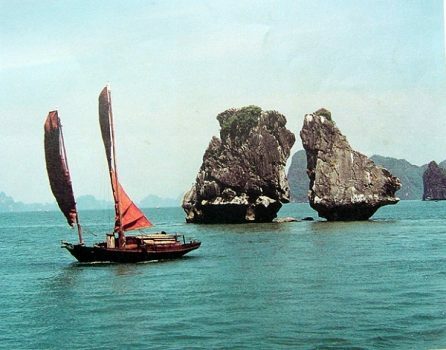 Many tourists share the view that over night on a junk boat in Halong Bay is an incredible experience.